Welcome to White Wolf at Breckenridge! Beautiful and contemporary, our high-end units at White Wolf offer style and comfort — private hot tubs and gas fireplaces in every unit, fine furnishings and décor — in a beautiful wooded setting on Peak 8. You’re just a short walk to the shuttle to Peak 8 and the slopes, or catch a shuttle to Breckenridge’s historic Main Street for dining, shopping and more. And in the summer, enjoy one of Breck’s nearby hiking trails. You just can’t beat the combination of mountain serenity, convenience and luxury that White Wolf has to offer. Looking for a perfect Peak 8 mountain getaway? This beautiful 3-bedroom, 3.5-bathroom premium townhome offers both peace and convenience! This tastefully decorated, light and spacious duplex on three levels offers large or multiple families and groups of up to 10 people comfort and flexibility, with the opportunity for privacy. The main middle level is a great gathering area, spacious and open with a vaulted ceiling and great views. Relax on the comfy couch in front of the gas fireplace, or take in your favorite movie on cable TV on the large LCD TV or DVD player with surround sound. You can also relax on the deck or grill a steak on the gas grill, surrounded by pine trees and overlooking Cucumber Gulch and the Nordic ski trails, with views up to the ski hill. The fully equipped kitchen is a cook’s delight, featuring high-end stainless steel appliances (including a gas range), granite countertops and is well stocked with everything you need to prepare that perfect mountain meal. The adjoining dining area has seating for up to eight people, with additional seating for four at the breakfast bar. 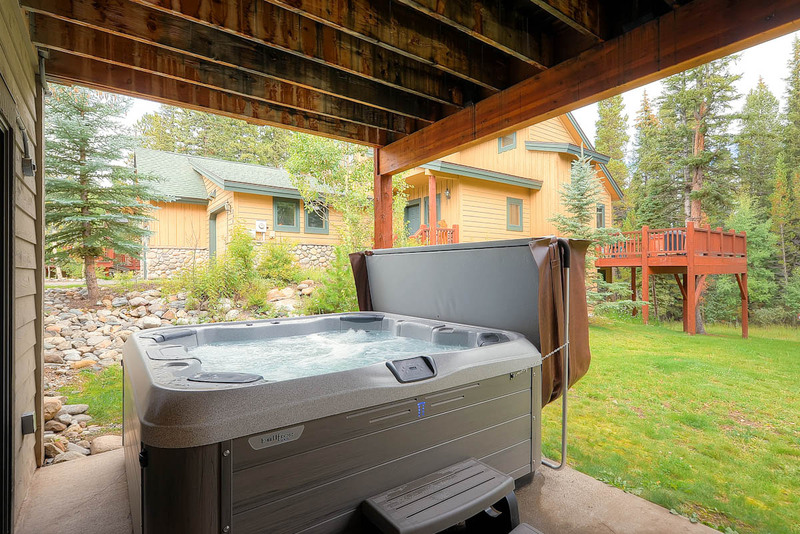 And after a hard day’s downhill or Nordic skiing, snowshoeing, hiking or just plain relaxing, soak away your cares in the private hot tub sheltered on the lower-level deck, and enjoy the beautiful scenery of Cucumber Gulch surrounded by pine trees! Other amenities include a washer/dryer, a one-car garage (with additional parking for two cars in the driveway) and complimentary Wi-Fi throughout the home. White Wolf 962 is a true home-away-from-home in a beautiful mountain location. Call us or book online today! Master suite: king bed, private bath with walk-in rain shower, and flat-screen HD-TV. Main entrance area; access to garage. Open plan living area, comprising lounge with gas fireplace and large HD-TV, DVD player and iPod/iPhone docking station, kitchen, breakfast bar and dining area; entrance onto deck with gas barbecue and outdoor dining table and chairs. XL Twin Suite: split-XL twin King bed (default set up is King bed, but can split into two twins if requested), private bath with Jacuzzi tub and walk-in shower, gas fireplace; private entrance to patio and hot tub. Bedroom 3: two bunk beds (four twin beds). Den: queen-plus sleeper sofa, 46” flat-screen HD-TV, Blu-ray and DVD players, X-box. Parking: Parking for 2 vehicles: 1 heated garage space, 1 outdoor spaces. Business and Occupancy License #311890001. Hello Carol, Thank you for your input on White Wolf. I will forward this to the owners to see what they wish to do about the den. 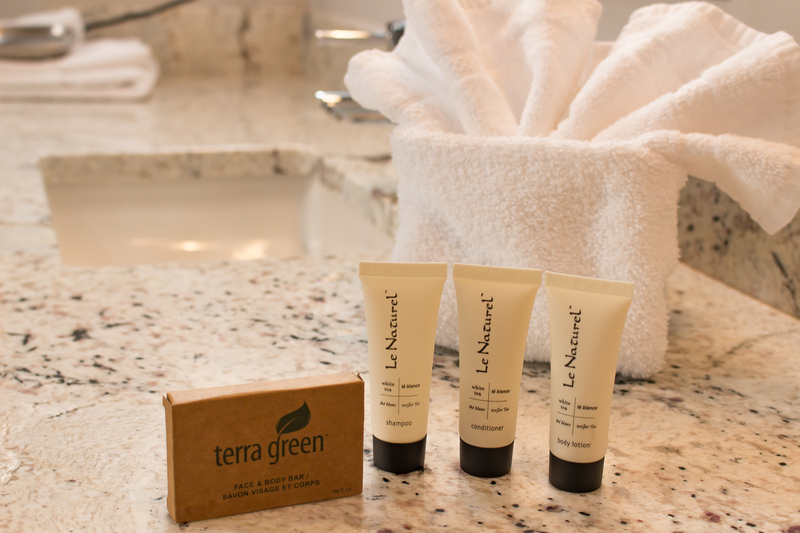 We offer a 10% discount for return guests, and next time please let us know if there anything we can do during your stay to make the experience better. Summit Rentals was a great management company to work with. Summit Rentals was a great management company to work with. The transaction was very smooth. The set up was great for the two families who stayed. Loved that the boys had their own room and bathroom. Everyone enjoyed the hot tub. There were plenty of extra sheets and blankets. It was easy to use the shuttle to the slopes. The parking was definitely tight as we had to park one of the vehicles in the garage and on one in the driveway. Only recommendation I would have is that the glasses be replenished. Maybe more heavy duty plastic cups would be helpful. Very nice condo. Clean, lots of beds and also private hot tub and bbq that got lots of use. Close to Breckenridge and other ski hills. great ,good location and great amenities at property. easy to check in and out. Was comfortable and spacious. Beautiful views, fantastic place to host a large family or group of people. Would definitely return! White wolf was in a great location between the mountain and close drive down the hill to town. There was plenty of space for our group during our stay and the condo had everything you would need. I would definitely recommend this place and would stay again. White Wolf 962 is a great place to stay!! We had 7 adults and the home held us all comfortably! It is very close to downtown Breckenridge. The hot tub was not working the day we checked in, but they had it repaired the following morning. Thank you Summit Mountain Rentals for assisting in the repair. Also Summit Mountain Rentals check in and check out process was quick and easy. Everything was wonderful. The people at the Summit rentals office were very helpful and had a great attitude to work with. The unit was great for six people. It was well supplied with kitchen items. Beautiful setting in the mountains The one thing that we did have to deal with was an odor in the lower master bedroom. I am not sure we would rebook unit unless that is taken care of before rebooking unit. It was the only thing that I would change! Thanks for your review! Sounds like you and your group had a wonderful stay. We’re curious about the odor you mentioned. Over the last few years, we’ve had more than 140 reservations/groups in this townhome, and no one has mentioned an odor. We also sent our maintenance crew over at your request; they found no odor present, and you declined our offer to move to another property. Our cleaning crew and inspectors have also been in the property since your departure and found no odor. Thanks for your input. We hope you’ll stay with us again! Great house at a great location! Could have been cleaner but we made do. Also, the fireplace didn't work four out of the six days we were there. Overall, would recommend the home. Hi Dario. Thank you for your feedback. In the future please call us during your stay so we can address any issues with the home. Thank you again. Everything was great. The kitchen was set up well. We had 6 kids that enjoyed their stay. :-) I do recommend a 4 wheel drive, our front wheel drive van had a difficult time getting up the driveway into the garage. Family of 6 really enjoyed this townhome with plenty of room and nice amenities. Only one thing I was unhappy about with the VRBO site, put dates on site to look at places then when I actually booked without changing dates price moved up considerably. Hi Martin. Thank you for your feedback. We are happy you enjoyed your stay. In the future please call me directly so we can book the perfect place for you! Hi David. Thank you for your feedback! We are happy you enjoyed your stay. In the future please call us during your stay so we can address any issues. Thanks again. When looking for a place for a family get away, I found the perfect spot!! White Wolf 962 was comfortable, spacious, and close to all of the amenities Breck has to offer. I would recommend it to anyone that asks and definitely plan on booking for another weekend next year! Thank you for your feedback Rad! Met a few high school buddies for a weekend full of golf and mtn biking. We were very pleased with this unit. The house was a very good size with great amenities. What we really enjoyed about this location was how close it was to town, but how far away it felt. Hiking trails right out the backdoor was a really nice bonus as well. I would definitely recommend this property. Thank you very much for your feedback William! Perfect Family Vacay Townhome! Location Location Location! White Wolf 962 was the perfect choice for our family mountain summer vacation. 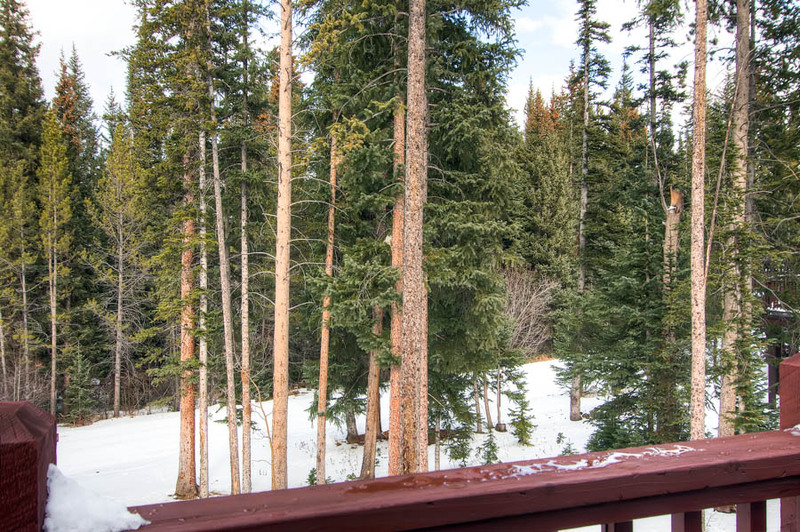 This town home is well-appointed with everything we needed and more and is nestled in the trees above the town of Breckenridge giving it a very private feel. This townhouse is spacious and comfortable and it couldn't be in a more perfect location. It is a 10 minute walk down the hill to town or 15 minute walk up to the main Breckenridge ski hill. Cucumber Gulch is a short walk out the back door for a beautiful local hike. All of the beds (including the pull-out queen sofa sleeper) were super comfortable and the bedrooms were spacious. Being summer, we kept the windows open all day and night and I was concerned the night noise would keep me awake. Not at all! It is a surprisingly quiet neighborhood and we all slept like babies after our all-day hikes in the area. As Southerners we were happy to find an ample supply of humidifiers to help us all acclimate to the dry mountain air. We love to cook so the new GE appliances were a joy to use and the oversized gas grill on the back patio was put to good use as well. We quickly felt very much at home and whatever supplies we needed was a 10 minute drive down the hill to City Market. Someone in our party of 6 was always hitting the hot tub rain or shine! We rented a movie one night using Xfinity On Demand and also took advantage of the nice selection of board games. We will definitely return to White Wolf 962 in the future and we highly recommend this property to anyone looking for a cozy, comfortable and convenient base for their next Breckenridge vacation. Thank you very much for your kind words Vanessa! We, at Summit Mountain Rentals, are very happy that you enjoyed your stay. We look forward to hosting you again in the future. We had an absolutely awesome weekend at this house. We brought 10 friends from college out to Breck for a ski weekend and couldn't have been happier. The house was full but by no means cramped. Everything was clean and in excellent condition when we arrived (and thankfully when we left as well). The location for skiing is great. It's a 5 minute bus ride up to peak 8 and a very short walk to the bus stop. The only small problems we came across were being limited to 2 parking spots and neighbors that liked their peace and quite. We were only asked to keep it down once but we also weren't all that noisy. Not a big problem but if you have a large group that is going to be out late you might look at another location in consideration of the neighbors. Nice accomodations, helpful staff. Great location. We loved the location and the space, it was exactly as described. Our only issue was the Master Bedroom on the top floor was too hot even with the heat off and we had to open windows. Also, the driveway was very steep and snow/ice covered. Make it difficult/dangerous to get in and out with grandparents also staying with us. Thank you for taking the time to comment upon this beautiful White Wolf 962 unit! It is a very comfortable unit and very well maintained by the owners. Upon inspection, we did notice an issue with the bedroom heat and it was easily rectified. We did see record snows this year and had extra staff out almost every day making sure that drives and walkways were clear. Please know that our maintenance and front desk teams are always just a quick call away for any issues you experience when staying with us. We hope you'll bring the family back again soon. This rental was perfect for our family. I was a little worried about it being a duplex, but we never heard the other guests. It was all very private. The location was a beautiful area. The only thing was having to walk down the street to the shuttle, but that was only a small nuisance, all things considered. The living room was large enough to accommodate our family of six easily, and the second den downstairs made a great quiet reading and gaming spot for the kids. The home was spotless with all the conveniences of home. Rental was a great place, great location, and company was easy to work with. We stayed here with another family over Labor Day weekend 2016. Compared with many other Breckenridge condos / townhouses this is a very nice unit in a quiet area close to town. It backs on open space which was great for hiking with the kids. Large 1 car garage plus one space in the driveway. Would definitely rent again. This property worked very well for multiple families with children! However, when walking behind the property, we were told that it wasn't allowed during the month of July as the nearby animals needed quiet time with their babies. Signs would be helpful. Thanks for your feedback. Although I appreciate the zealousness of our neighbors, this is not true. The trails behind the home are open all summer long. We are glad you enjoyed our home.